It’s finally here – the Doctor Who Soundtrack: Series 9 is up for pre-order, and comes out next month! 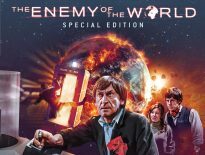 Fans have been patiently waiting for this CD boxset since Series 9 debuted in September 2015; over two years since the run of episodes concluded, the soundtrack for all 13 episodes, by the ever-talented Murray Gold, is to be released by Silva Screen, first as a Limited Edition, then as a Standard issue. The former is naturally limited in number, and comes with an exclusive booklet featuring Stuart Manning’s great poster designs, plus slipcase; if you can’t get hold of this, a second non-limited edition will be available, sans booklet and slipcase, but still includes all the music from: The Magician’s Apprentice/ The Witch’s Familar, Under the Lake/ Before the Flood, The Girl Who Died, The Woman Who Lived, The Zygon Invasion/ The Zygon Inversion, Sleep No More, Face the Raven, and Heaven Sent/ Hell Bent, plus the 2015 festive special, The Husbands of River Song. 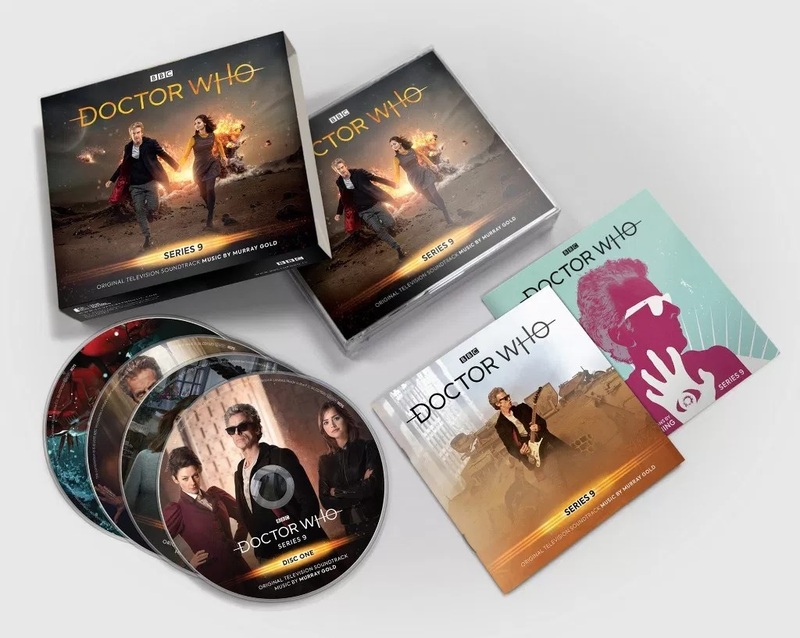 The latest contemporary soundtrack released was the Series 8 set, all the way back in May 2015. That’s right: it’s been a gap of nearly 3 years! 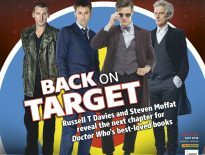 And yes, they’re using the new Chibnall-era logo. Cheer or sigh accordingly. Doctor Who Soundtrack: Series 9 is out on 27th April 2018, with an RRP (according to Silva Screen) of £14.99; Amazon’s current listing is fluctuating above that price, but we expect it to settle back to its RRP, and ensured by their pre-order price guarantee.